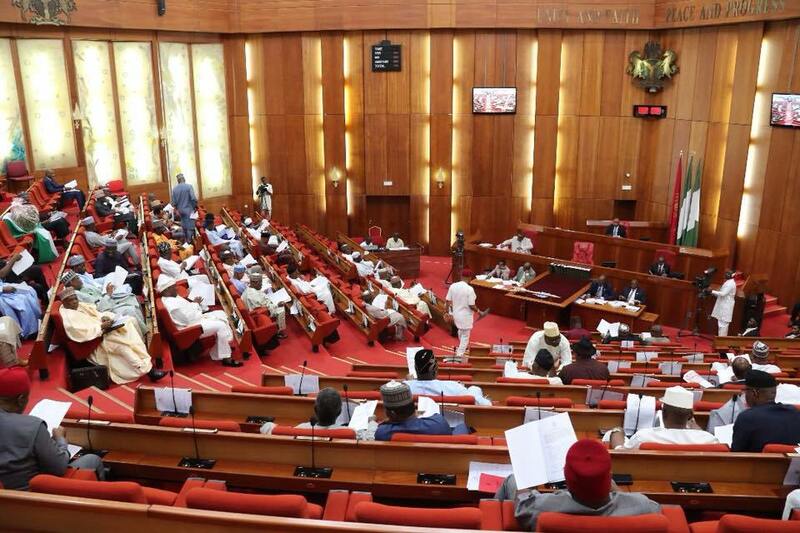 N30,000 minimum wage: Senate reaches final decision. 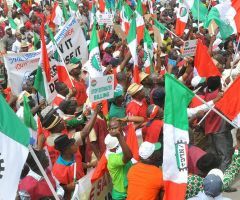 The Senate has approved the thirty thousand Naira (N30,000) national minimum wage. and approved the new national minimum wage bill, 30 thousand as minimum wage and 75 thousand as penalty for non-compliance. 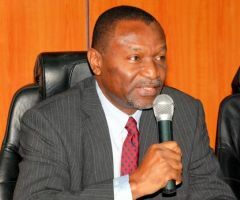 "The Senate on Tuesday appointed Senate Deputy Majority Whip, Sen. Francis Alimikhena, as acting chairman of the ad-hoc Committee on Minimum Wage.The President of the Senate, Dr Bukola Saraki, who made the announcement at plenary on Tuesday, said Alimikhena would work in an acting capacity while the Chairman, Sen. Olusola Adeyeye, was away on health grounds. Saraki charged the committee to expedite action on the matter to enable the Senate catch up with the House of Representatives which had already passed the bill. 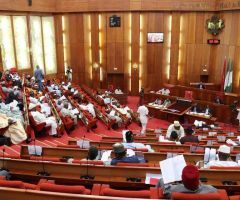 BREAKING: Senate approves N30,000 minimum wage. 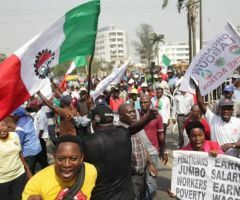 New Minimum Wage: FG gives condition for payment of N30,000 as Senate approves figure. New minimum wage: Organised labour reacts as Senate approves N30,000.